Who is TMS Therapy For? Individuals struggling with depression who have otherwise not received relief with medications, other treatments or experienced intolerable side effects for depression symptoms- may have success with TMS. Medications often cause uncomfortable side effects and are not always effective. In treatment-resistant depression, Transcranial Magnetic Stimulation offers another option for a pain-free, non-invasive alternative therapy; without medication. Possible side effects may include mild headaches, involuntary eye blinking or facial muscle contraction during the 20-40 minute treatment. There can be mild discomfort associated with these symptoms. A mild seizure is noted in 1:1,000 patients due to TMS activity and typically stops when stimulation ends. This ratio is similar to that of antidepressant medication. TMS is a simple treatment modality performed in a doctor’s office. The patient is seated in a comfortable reclining chair much like the kind you find in a dental office. Earphones or earplugs are provided to muffle the noise of the machine while it delivers magnetic pulses. The sound is described like a woodpecker, but not offensive. The doctor or technician will then place the magnetic coil on the head. The entire treatment takes approximately 20-40 minutes and is well tolerated by most people. This process is repeated for 5 days a week for 4-6 weeks. Transcranial magnetic stimulation is a safe and effective treatment for resistant depression. It provides a focused magnetic field to an area of the prefrontal cortex. This is a part of the brain that is involved with depression. The magnetic pulses stimulate neurons associated with mood regulation and help the brain shift its patterns of activity through greater neuroplasticity. These pulses areadministered at a level equivalent to an MRI and produce results that influence the neurons ability to maintain function in a new way. The effects are cumulative and empower the nerve cells to improve their function during and beyond the treatment. TMS does not require the use of anesthesia, sedation or medication. Patients are seated comfortably, remain alert and can talk for the duration of the treatment. Patients are able to drive themselves to and from the treatment sessions. Patients may experience mild to moderate discomfort associated with the tapping during the treatment. Some patients report soreness on the scalp, however, sensitivity decreases over time. Patients may choose to take an over-the-counter pain medicine to moderate the possible discomfort. Want to Learn More About TMS? At the Center for Human Holistics we are passionate about Transcranial Magnetic Stimulation. If your current or past treatment plans aren’t working, or you’re tired of the side effects, now is the time to reach out. Our staff will guide you through the process of scheduling a consultation which includes gathering initial history and helping you determine your insurance eligibility. If you are being referred by another provider, we will help coordinate communication between your provider and Dr. Lowenstein to ensure congruous care. During your consultation, Dr. Lowenstein will assess the current problem, your past history with treatments, treatment responses, and side effects. Dr. Lowenstein will be able to answer any further questions and review pertinent medical concerns. At that time, if appropriate, you will be able to set up appointments to begin TMS treatment. During your first appointment, you will be attended to by the doctor and technician who will ensure you are comfortably seated with appropriately placed equipment. The doctor will evaluate the appropriate protocol for your treatment to determine the area that will be stimulated. Treatment is non-invasive and requires no anesthesia, direct electrical currents or electrodes. You may drive home after your appointment. TMS protocol, length, strength, and duration will be determined by Dr. Lowenstein according to your unique circumstances. You can expect to come in once per day, 5 days per week for 4-6 weeks. Research has shown approximately 2/3 of patients with treatment-resistant depression feel better. Up to 50% of that group or 1/3 overall, experience remission of the depression. This group of patients typically has a 7%-16% of a chance of improvement when trying a 3rd or 4th antidepressant medication. TMS treatment is not an alternative to hospitalization for acute suicide ideation. Results may vary from one individual to another and may require more than 30 treatment sessions to experience relief of symptoms of depression. Some patients will experience the benefits of TMS in the first few weeks while others may not observe any significant mood changes. The FDA has approved TMS for anyone who has failed a trial of one antidepressant. Your insurance may have stricter requirements for pre-authorization of TMS treatment and require 4 failed trials with medication and psychotherapy. The greatest advantage for many people who experience TMS is the lack of side effects associated with antidepressants like sexual dysfunction, irritability, fatigue, nausea and weight gain. This treatment is often coupled with psychotherapy and is recommended that patients maintain consistent therapy and medication with their preferred provider. The patient does not need to delay or decrease normal activity due to TMS. It often provides long-term positive results without the discomfort of dry mouth, dizziness or other lifestyle disruptions. TMS is gaining in popularity and more physicians are offering it to their patients with positive results. Many major health insurance companies currently cover this simple, in-office treatment. Please contact us with further questions. Our office staff is happy to assist you in determining your eligibility. This treatment has been FDA approved since 2008. The current model in use in our office is the MagPro 30. Designed for clinical use, this machine is versatile enough to provide solutions to fit most patient’s needs. To date, there are five machines which all deliver similar and productive results. 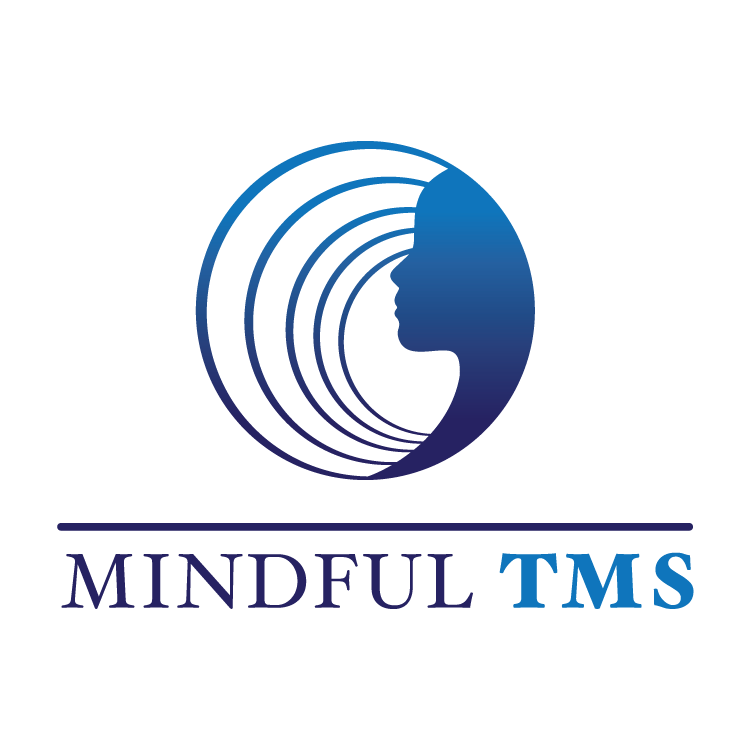 TMS has also been approved for treatment of depression in Australia, New Zealand, Canada, Europe, Israel and is CE approved in Europe for the treatment of other neuropsychiatric conditions. Any metallic implants, fragments, bullets, shrapnel near the head, neck or chest should be reviewed. Non-ferromagnetic metals do not tend to be a contraindication. Please call our office with any questions. Patients may be referred by their current psychiatrist, psychotherapist or primary care physician. It is recommended that patients continue to work with their care providers during this treatment. We are happy to accommodate self-referred patients and will do our best to assist you in your choice and offer information to help you proceed.